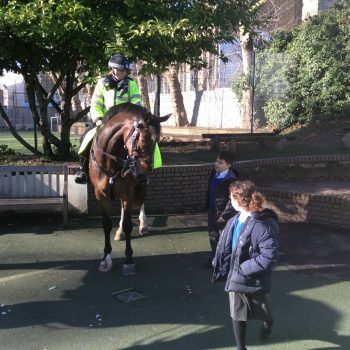 This week we invited police horses in for a visit. 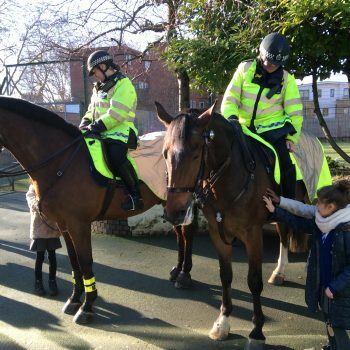 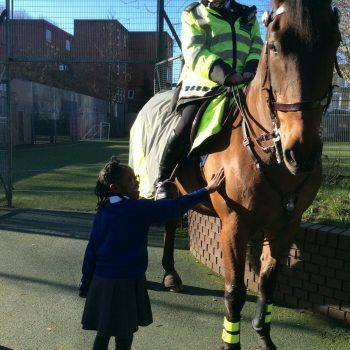 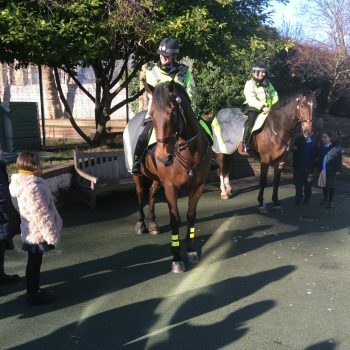 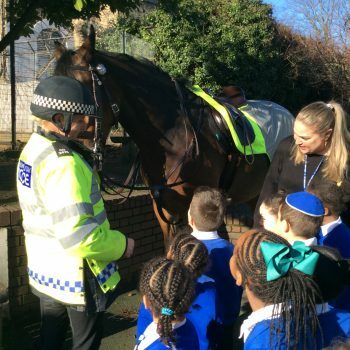 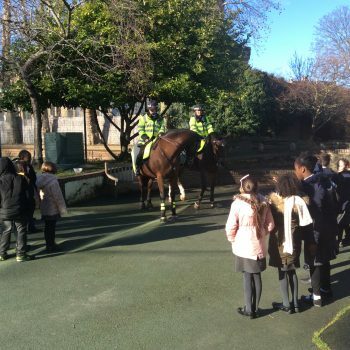 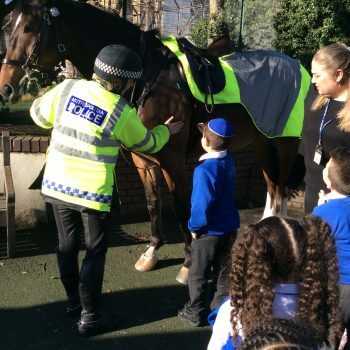 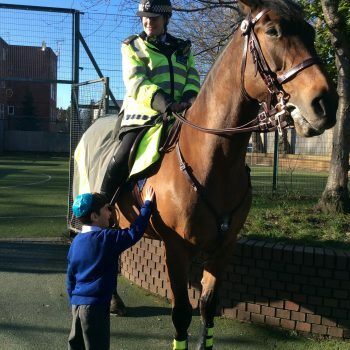 Children had the opportunity to learn about the work police horses do and get up close. 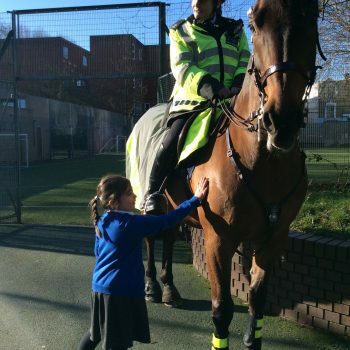 We had one very calm and mature horse who was training a very boisterous and cheeky four year old horse. 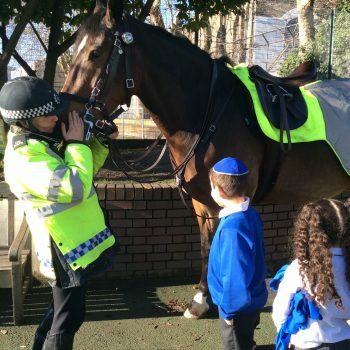 They both loved carrots!